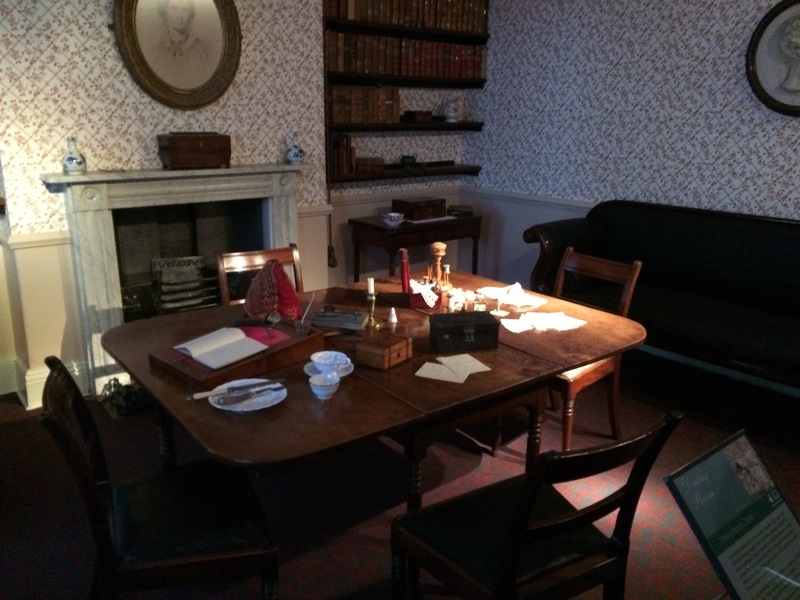 On this table Wuthering Heights and Jayne Eyre were written. The importance of the author’s intentions in reading a novel or poem has been a hotly-argued subject. What became known as ‘The Intentional Fallacy’ (after a essay by Monroe Beardsley and W.K. Wimsatt) suggested that the author’s thinking about their own work was irrelevant. Instead a novel, for example, should stand on its own two feet and be judged without reference to what the author thought the work was all about. Pro-Intentionalists argue that we should include everything we know about the author’s intentions for their novel as well as try to understand the historical context in which the work arose. I always thought they were both right. That, naturally, a work should be able to stand on its own and it is interesting to interpret a work free from prescriptive ideas about that the book is ‘about’. While cocking a snook at information about the writer’s intentions, and the context they wrote in, seems plain silly. 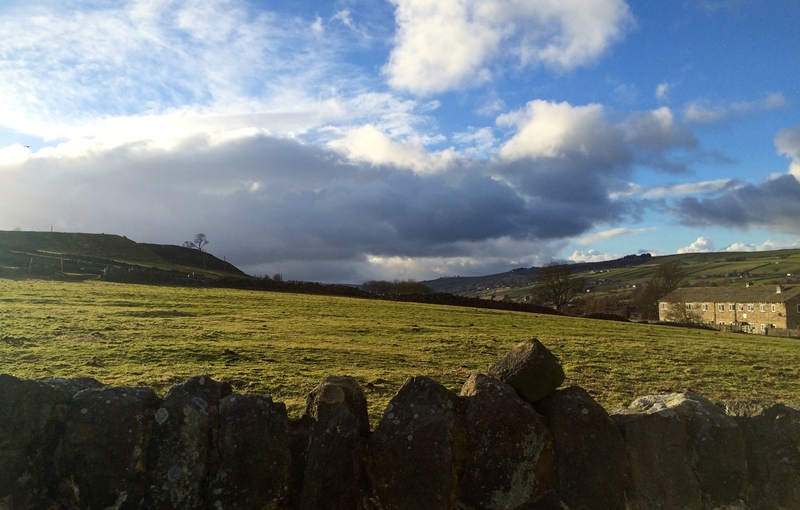 Visiting the Brontë parsonage at Hawarth on a sunny February afternoon, dredged up these old debates in my head, and I found my feeling for the sisters’ work transformed. I am the first to admit that I am not a Brontë scholar, having only read Emily’s Wuthering Heights and Charlotte’s Jane Eyre, but was impressed by both but now I want to read them again, and more. The parsonage is at the top of a hill and surrounded by a graveyard and (as you’d expect) looks across at the Church. The gravestones are oddly table-like plinths. A fact which the 1850 report into public health suggested prevented plants from growing on the gravestones, which was thought to slow the decomposition of the corpses. 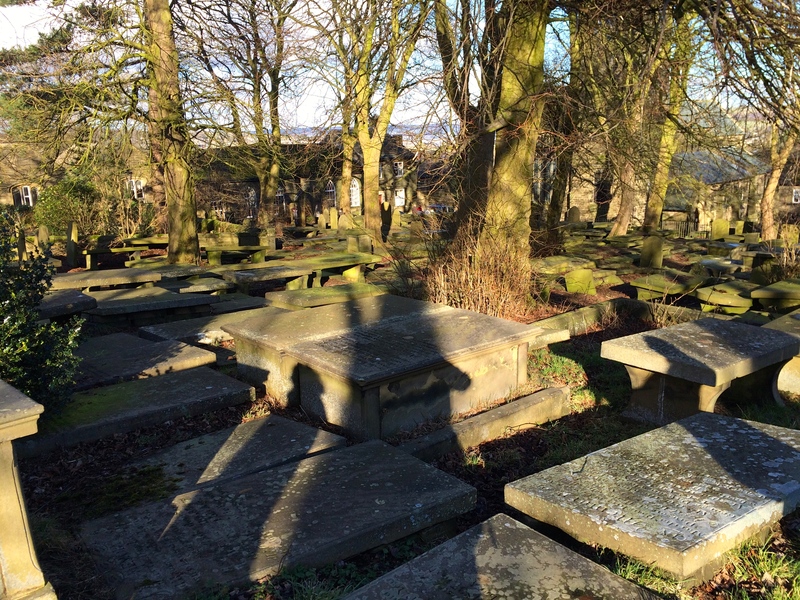 This same report found that the average lifespan in Haworth was 25.8 years – the health there was wretched, with problems caused by sewage problems. The Brontë family’s comparative longevity has been ascribed to the fact that they lived at the top of the hill, while the sewage, and whatever ghastly stuff seeps into the water table from diseased corpses drained downwards. Behind the Parsonage is wild and open moorland. Walking around the museum and locality it was easy to picture three fiercely intelligent young women and their brother, brought up as devout Christians, living on the edge of empty wildness in a small place where early death was commonplace. This is the practical context of the sisters’ imagination, and understanding just a little bit more about it has inspired me to return to their books. This entry was posted in Criticism, Novels, Writing and tagged Brontës, Charlotte Brontë, Emily Brontë, Haworth. Bookmark the permalink.